Well this has been one of the longest waits to see this show but well worth it. 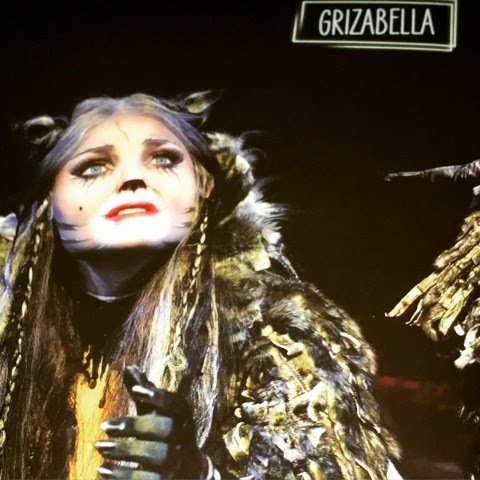 Out of all the shows I've seen Cats is one I missed first time round but I've heard nothing but good reviews so when I heard Kerry Ellis was taking over the role of Grizabella I knew this visit had to happen. My guest reviewer tonight and also joining me for a birthday night out was my amazing mum who also was a first time viewer of the show. 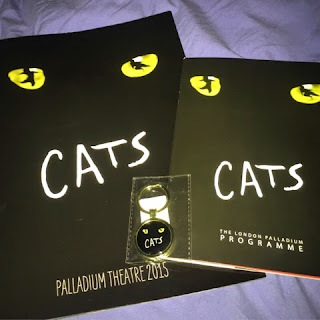 On arriving at the Palladium we were greeted by the lovely front of house staff who were on hand manning all the entrances to let us in to shelter from the rain. The staff were great with making sure everyone knew where they were going to as there is a separate entrance if your in the upper circle upstairs to the stalls downstairs. From the merchandise staff to the staff on the bar everyone had a smile on their face and genuinely made you feel at home with conversation on how your day had been and if you had seen the show before. 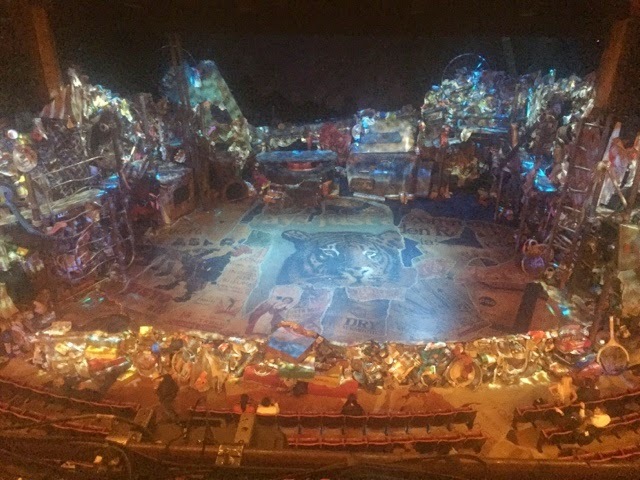 Now I'm not usually made speechless by a stage set (last one that did this was wicked) but taking our seats at the front of the upper circle I genuinely was in awe of the whole theatre. It's been a while since I've been to the Palladium but the whole auditorium looked beyond amazing. 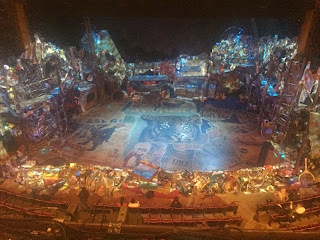 The stage set came out into the dress circle around the edges which the cats climbed around during the show. Then came the start of the show and from start to finish it did not disappoint. Between the soundtrack and the dancing your eyes were kept busy for the whole show. The costumes themselves are worth coming to see the show. Each cat had their own personality which was striking from the start. At this point I normally choose my favourite vocalist Kerry first blew the roof off with her version of Memory but each member of the cast had an incredible voice which made it hard to choose more favourites. Cats needs to stay in London for a longer run its beyond phenomenal. If you get a chance to go before the end of this run please do and make a move for ticket sites do it now. 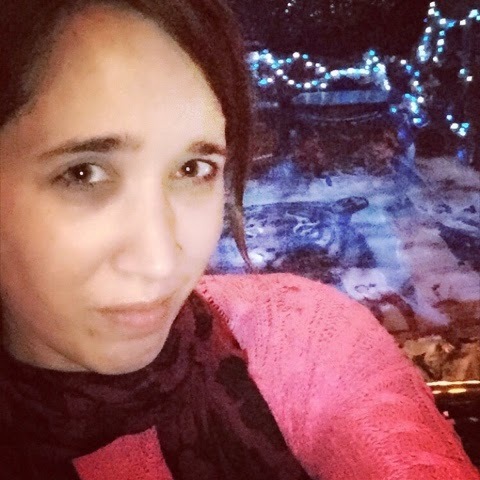 I know I'll be trying to see it once more.